September has always been one of my favorite months. The weather is usually amazing, the beach is no longer crowded AND it is my birthday month. This year September meant something different to me-instead of being in the typical back-to-school grind, I was able to spend the entire month with my babies. As you can see from my runkeeper info above, some of that time with my babies was also spent moving! Most days we went on at least one walk, sometimes two- but we also ventured out of the neighborhood with other moms and babies which was great! barely wait to get home to my sweet little ones and give them a big kiss! Later that same day my husband and I packed up the kids and we participated in a walk for ALS. One of my husband’s childhood neighbors has been plagued with this terrible disease and we walked to support him. This walk was yet again another gentle reminder to not take anything for granted, especially the little things in life, like walking and talking. Doing both events in one day was a lot to process- but it is important to be reminded that everyday is important. 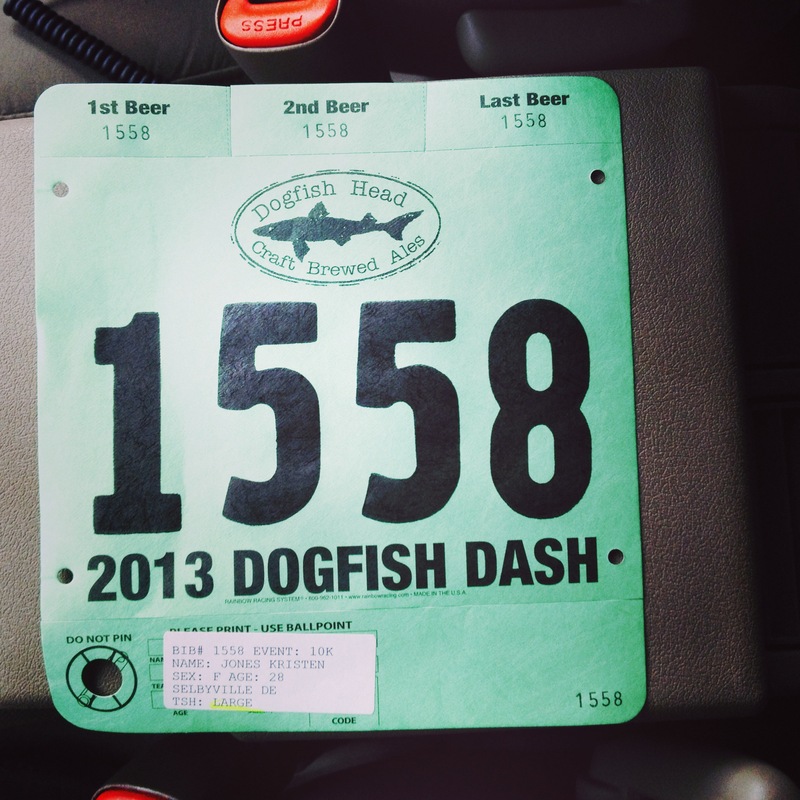 The Dogfish Dash was yet again another fun day of running! As you can see from the picture, we even were lucky enough to get our picture taken with Sam, the founder of dogfish head. My sister and another friend all ran this race together they are both much faster than me but were both healing injuries so they took it easy and enjoyed my slow pace. We ended up finishing the 10k in 1:07 which for me was 5 minutes faster than last years time! 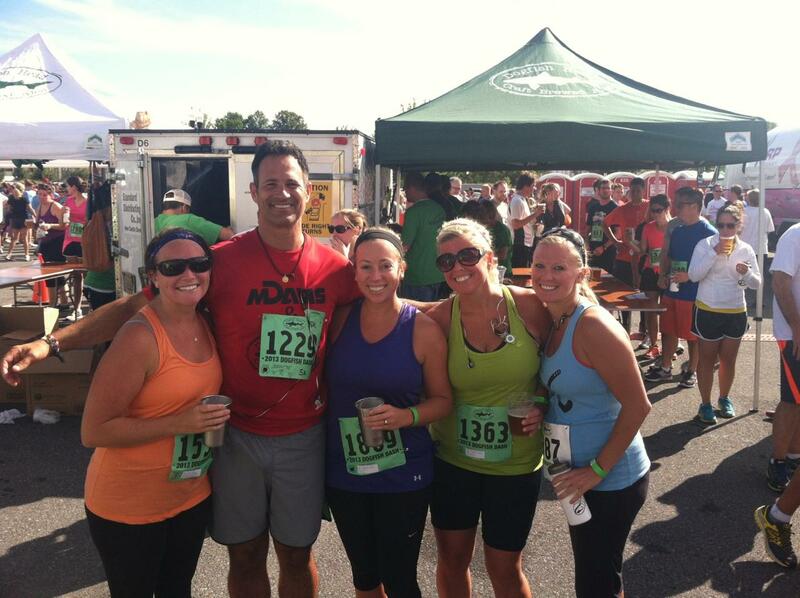 We had a blast running and chatting through the quaint little town of Milton. If you plan to run this race next year, be sure to set some kind of reminder for April 1st when registration opens- this past year it sold out in about 30 minutes! 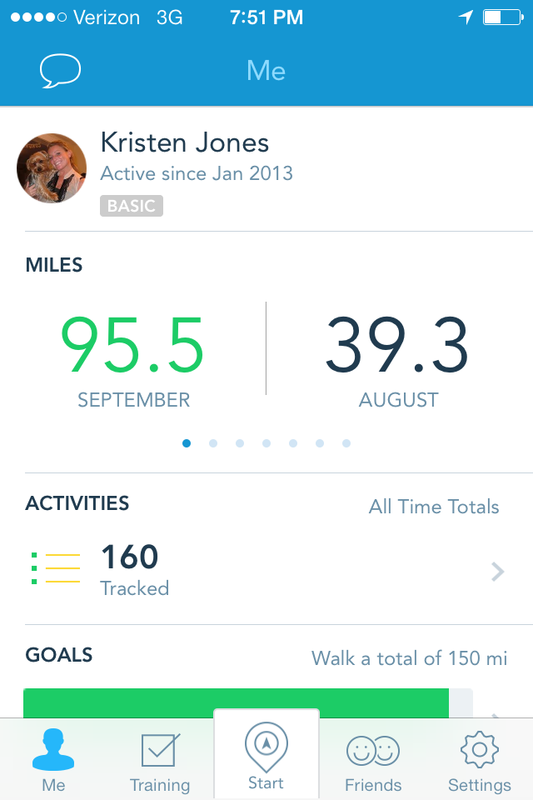 October marks the start of the Joggermom Virtual Marathon! I already have 13.5 miles logged- mainly from walking during my lunch and one weekend run. Since being back at work, fitness has taken a back seat, so I am living on the motto “Do what you can” So far this month I also completed the 5 before the 5th that mommyrunfaster sponsors. All you have to do is run either 5 or 10 miles before the 5th of the month and you can be entered to win cool prizes! I have been very tired since starting school and trying my best to get adjusted to the early mornings, 250 students and all the regular mom/wife duties. I spent my Saturday afternoon making 10 frozen meals- so dinner will at least be taken care of for a few weeks. If I ever get any free time ((haha)) I will post some of my go-to freezer recipes to share. As October continues to march on, I am looking forward to cooler weather, pumpkin everything and even some long runs! What are some of your favorite things about fall? Any races planned?